Archive » SFYN Asia campaigning to protect biodiversity. It’s a fight for life. Life on Earth. A sombre report on The State of the World’s Biodiversity for Food and Agriculture from the Food and Agriculture Organisation of the United Nations (FAO) in February of this year – the most exhaustively researched on this topic – unequivocally states that we are in serious trouble. The biodiversity of plant and animal life on which our food production relies is declining more rapidly than we thought. We’re not ‘just’ talking about the disappearance of indigenous crops and traditional animal breeds in favor of fast-growing, industrial monocultures (although that’s bad enough). We’re talking about exponentially declining populations of things like pollinator insects, compound-converting soil organisms, fertilizer-producing animals, and crucial parts of the ecosystem such as mangroves and forests being destroyed. Our reliance on a narrow range of plant crops and livestock breeds is leaving us vulnerable to climate change(? ), while other factors like water and land usage also contribute. The worst part is that we don’t even know just how much damage we’re doing – the report suggests that our understanding of things like the role microorganisms and invertebrates play in biodiversity needs to be greatly improved. In conclusion, the FAO report says we need to change the system. Drastically. Within the next decade. Or we’ll pass the point of no return towards total biodiversity collapse. With that gloomy prospect in mind, SFYN is trying to tackle the problem in a positive way. Focusing on Preserving Biodiversity during a month-long campaign in the lead-up to World Disco Soup Day on April 27th, SFYN Asia and Oceania has chosen to focus on Preserving Biodiversity as the main issue for a month-long social, online, and media campaign to raise awareness. Groups are organising a wide range of fun and educational events, culminating in disco soups all across Asia and the Pacific on April 27th. In Hyderabad, SFYN is organising an event to learn about and celebrate the traditional grains and millet of this region, which have largely been forgotten. If nobody eats these crops, then nobody grows them. If nobody grows them, our dangerous reliance on a narrow range of conventional crops that is threatening our food systems, farming systems, and ecosystems becomes stronger. This traditional millet is an example of the kind of food that is at risk of disappearing, so using, celebrating, and teaching how to cook with crops like this is an important part of protecting biodiversity for the future. They were cooked and eaten regularly up until the previous generation, but now young people don’t even know how to cook them. At the event, SFYN is going to cook delicious traditional meals using these ancient grains. They will also be experimenting and creating new recipes with them, to show that they can be versatile and adaptable in a modern diet. In Bishkek, SFYN Kyrgyzstan has established a programme to work in collaboration with elderly people – especially farmers – to harness their knowledge of how to preserve seeds using traditional methods. With this knowledge, as part of the campaign for preserving biodiversity, SFYN is organising seminars and lessons at schools, inviting experts on climate, food production, and biodiversity. The teachers and directors are also organising a quiz about biodiversity and an art competition among students aged 12-15 from 10 different schools. 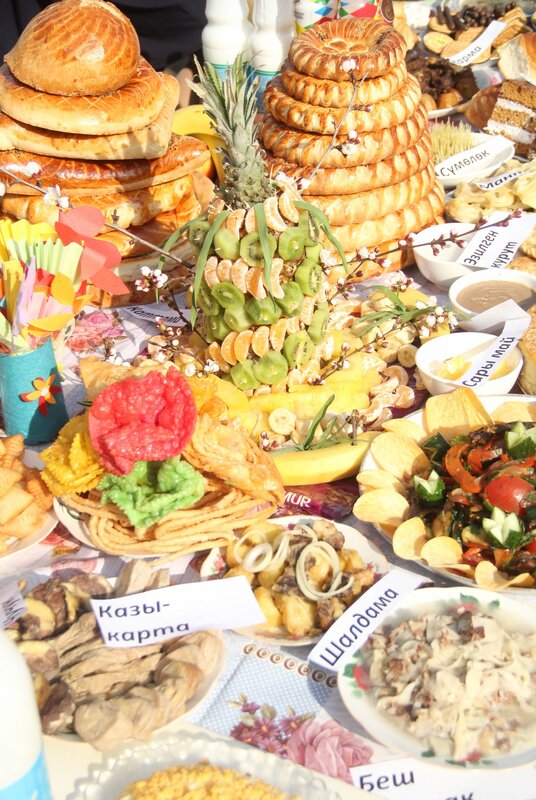 On World Disco Soup Day, SFYN Kyrgyzstan is working together with Slow Food Kyrgyzstan, New Generation, and Zero Waste to organise a “business day” of activities and discussions related to local and organic food. Groups will discuss different aspects of the issues surrounding food waste and biodiversity loss. The day will finish with everybody involved sharing a Disco Soup together. In New Zealand, SFYN is working with secondary schools to try and better educate young people about where food comes from, the damaging effects of intensive industrial farming on our environment and our biodiversity, and the dangers of fast food on health and nutrition. 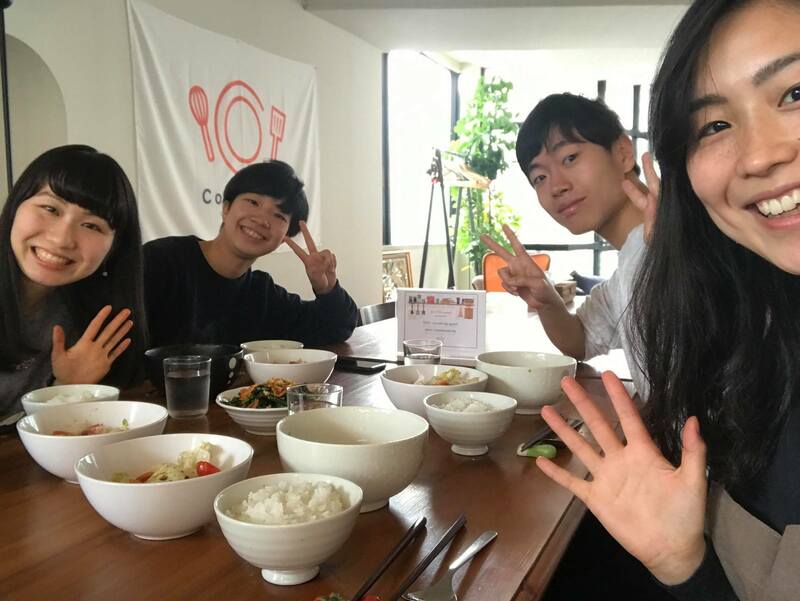 For World Disco Soup Day, secondary school students will cook a healthy, delicious meal using rescued food and then donate it to a local primary school, where most children eat unhealthy lunches or some have no midday meal at all. Our daily habits, food choices, and purchases are part of what drives the broken food system doing so much damage to our planet. The wasteful overproduction and over-consumption (or excessive purchasing) of food in developed countries is part of that. So, SFYN Japan realizes that we need more than public events to make a difference. For that reason, the youth are encouraging people to organize their own casual, private events in their own home. They will provide ideas and instructions for how people can take part, such as gathering friends for a hot pot party. Everybody brings some food from home that is about to be thrown out or go past its use-by date, and you use it to cook something delicious together. Simple. Two public World Disco Soup Day events will also take place on April 27th, in Tokyo and Kobe. In Manila, SFYN Philippines will be hosting a soup kitchen alongside an exhibit about Slow Fish and a full programme of public seminars. The seminar topics include growing your own food, sustainable fishing, solid waste management, and urban gardening for adults and parents. At the same time, there will be a planting activity with children in collaboration with St. Scholastica’s College, and various soup dishes donated from different farms will be served. 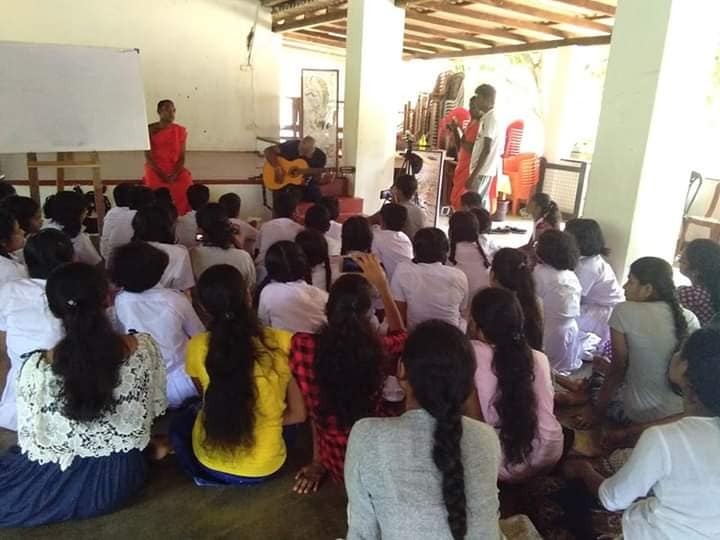 SFYN Sri Lanka has organised an entire month’s worth of amazing educational programmes dedicated to raising awareness about biodiversity loss. There will be lectures and seminars on the state of specific forests around Sri Lanka, a national media conference to explain biodiversity loss, and a musical session with a popular artist speaking on the topic of nature and the art of living. On April 8th, SFYN is making a stand in Rilagala by camping out in peaceful protest against the destruction of forests and biodiversity loss. They have also organized field visits to a coral reef awareness programme in Galle, a reforestation programme in Ranmale Mountain, a deforestation awareness project in Kanneliya forest, and a trip to Malinbada Buddhist temple for a meeting with Sri Lanka’s key environmental activists. There will also be a two-day youth environmental camp and a food-sharing programme among youth in the villages of Kudabubula and Natiya. On April 27th, the Disco Soup event will be accompanied by a planting programme in Gampaha promoting local, indigenous herb varieties.